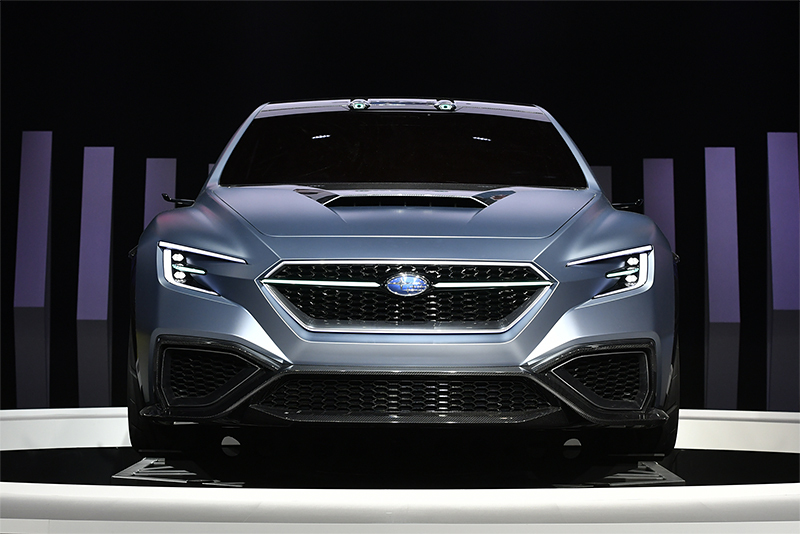 Subaru's styling has been the subject of much criticism over the years. 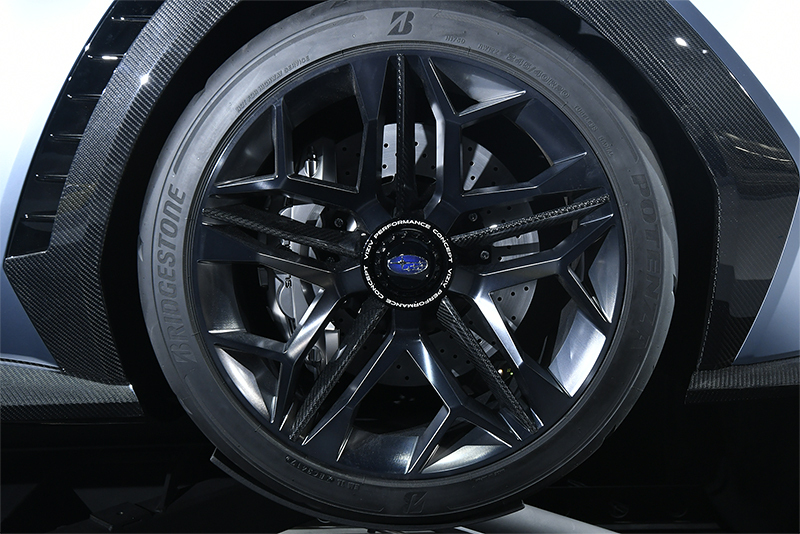 But Subaru is working on it, and the VIZIV Performance Concept just revealed at the Tokyo Motor Show provides some clues as to what direction future designs may go. 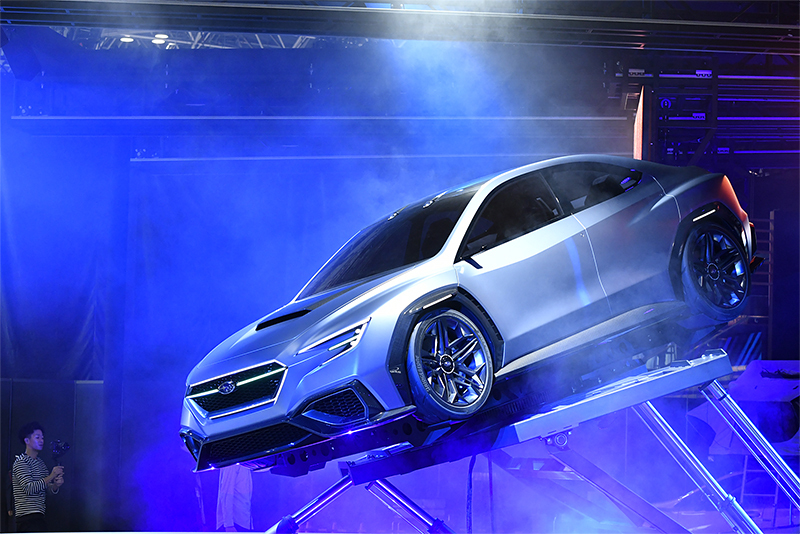 The VIZIV, which Subaru says means "Vision for Innovation," looks like an edgy evolution of the current WRX. 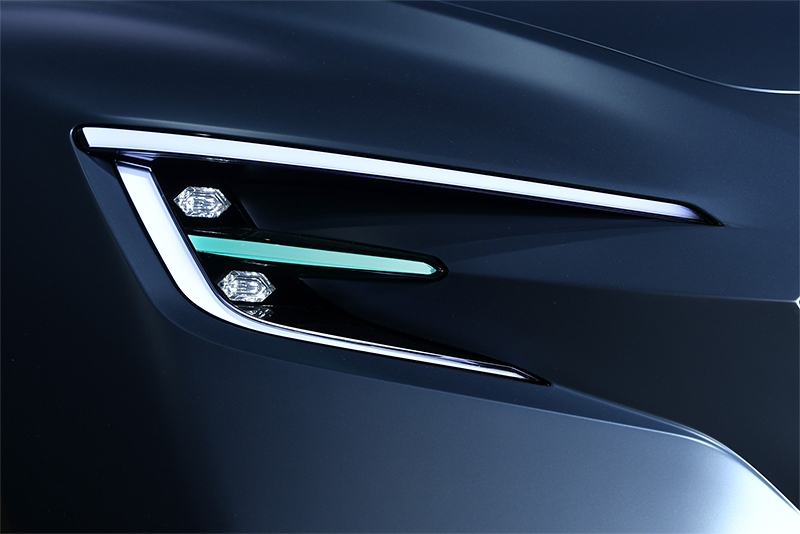 Trapezoids are the predominant theme on the VISIV, clearly visible in the front grills. Even the traditional hood scoop is now a trapezoid, which doesn't make much aerodynamic sense, but it looks cool, which is the purpose of a concept car. Even the hood is a trapezoid, pinching in toward the front to make the typical fender flares much more pronounced. The current C-light design continues, with a pair of tiny lights within them, presumably LED. This may not pass U.S. Department of Transportation standards, but again, it's a concept car, so it doesn't have to. The bulging wheel wells are also trapezoid shaped, looking a bit like an XJ Jeep Cherokee rather than a Subaru. The current WRX styling has evolved into a more swoopy design, though the original lines are still quite clear. The same is true of the tail lights, though a red strip across the trunk lid now connects either side. 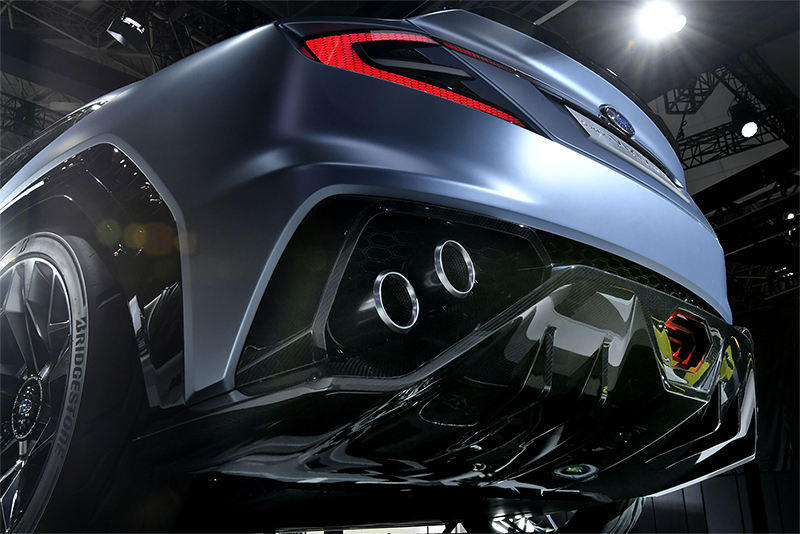 The rear diffuser is enlarged, with the standard quad tailpipes now at an angle instead of straight across. 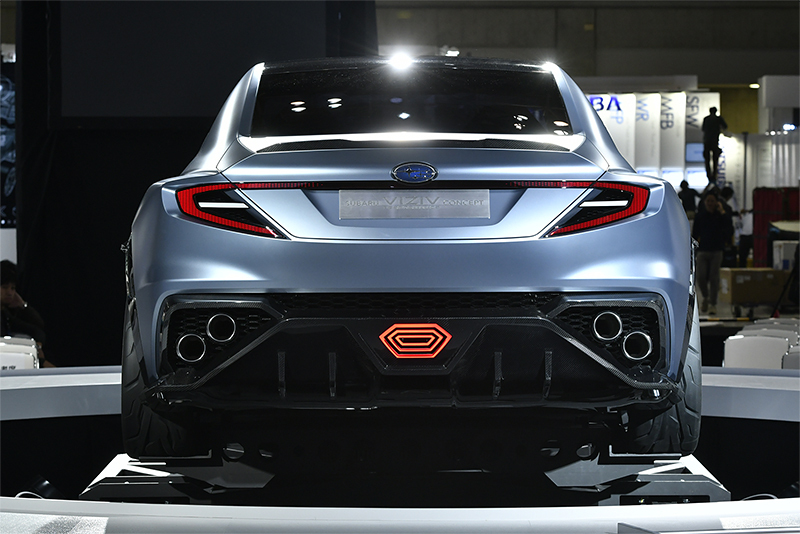 The rear fog light is enlarged but now a hexagon (two trapezoids) instead of a square. Keep in mind that a concept car is simply that, a concept, not a rendering of a production vehicle. 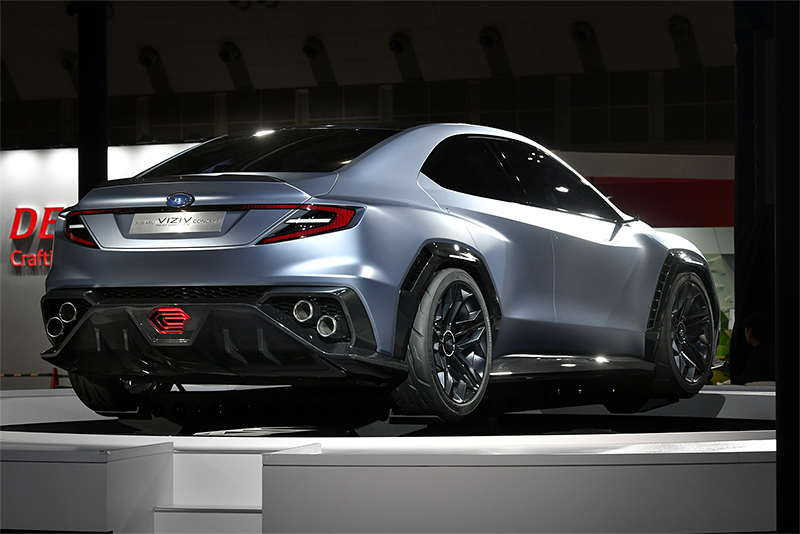 The Subaru WRX Concept of 2013 was a sleek four-door coupe that didn't resemble the actual 2015 WRX too closely. But it did have many of the new design elements that were introduced on the new WRX in a less exaggerated form. 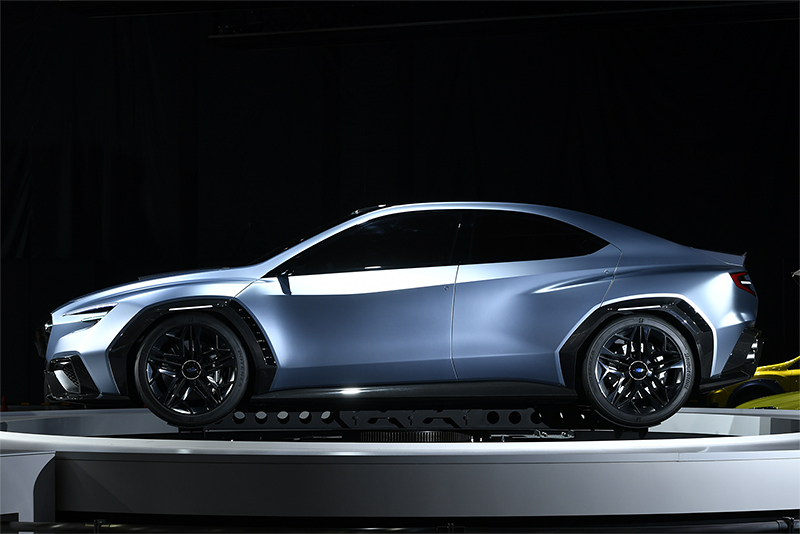 So although we won't be seeing a new WRX until at least 2020, we can expect some of what we see on the VIZIV to make it into a production WRX and other Subaru models as well.